Are you getting bored ? Are you looking for any fun for mobile apps free download ? If the answer to the previous question is yes, then you are at the right place. This article will talk about some of the fund and cool apps. As a result you will not feel bored. And you will be able to kill your time having fun. The list below contains apps for both, android and iOS users. Hence if were looking for fun for mobile app free download iPhone , then the below list is prefect for you. As I have researched all the apps and have come up with this list below. 9GAG is no doubt the app that is made ideally to kill time. This is free, fun and great app for android and iOS users. The main attraction on this app is the funny memes, GIF images, pictures and cool videos from the IGTV. The best part about this app is that, you also can connect with the like minded people using this app. Hence, you can consider this app as the search engine app for people who have same thinking as you. And who like the same stuff as you do. This app is just a bomb of fun inside your pocket. You also can upload your content over here and get famous withing the fellow gaggers from all around the world. 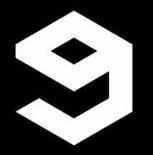 If you are interested in the humor of another level then 9GAG app is just for you. This is seriously fun app for your mobile. Using this app you can easily modify your voice and make it as fun as you want. With this free voice change app, all you need to do is to record your voice, apply filters and effects and share them with your friends from the app itself. You also can use Whatsapp for sharing the converted voices. Some of the cool voice changer effects include sheep, evil puppet, child, duck etc. You also have the option to create image with sounds and make your changed voice more interesting. As a result, you can save the output and share it with your friends on Facebook as well. If your voice is funny enough, then you also can make it as a ringtone or a notification sound so that you can have fun with some people while annoy the rest. This is a lie detector app that you can use to prank your friends. 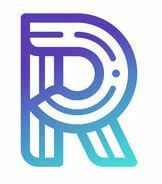 I am listing the apps for both, android and iOS users. These are two different apps developed by two different people but the aim of both the apps is the same. The app is very easy to use. All you need to do is to preset the results on the app and can prank your friend or relative in speaking the truth. You also can change the results while you are scanning (pretending to scan) for the lie. The graphics in the app is cool and anyone would be able to believe the app. As the presentation and the graphical result display screen is very very real. Hence, it would be really easy to prank anyone using this app. Are you a bubble wrap lover ? Well, most people are. This is pretty amazing app if you are the one who is playing. While for the audience or people sitting near you, it could be pretty annoying app. Since the sound of the bursting the bubbles sometime annoys people. This app could be pretty relaxing for you. If you are a bubble popping addict, you are going to love this app. With free download and usage of this app, you can relax easily. The developers have also included a counter that will let you know about the exact number of bubbles that you have popped. If you like making new friends or just talking to a stranger, then this is the best fun app for you. Since this is a free app that could be downloaded and used by any of the iOS user’s, you can be true yourself. No need to hide anything and speak out your mind to a complete stranger. If the wavelength of both the people matches that you both can be friends. The main advantage of this app is, you are completely anonymous to the person on the other side. Hence, if you do not like the other person, you can easily disconnect your self from the person in front of you. As a result it is great situation to be in, if you are looking for some casual chatting experience with a complete stranger.